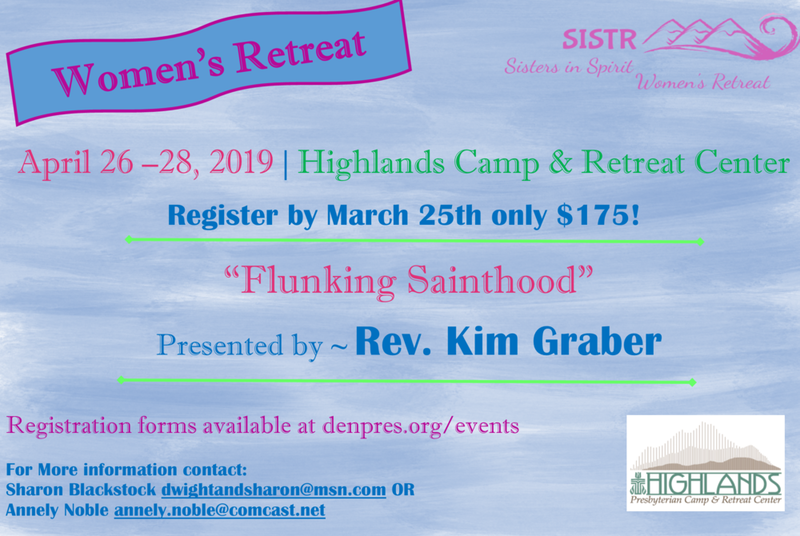 Sisters in Spirit Women's Retreat - Join us! Women from all churches are welcome to this wonderful opportunity to join in a retreat! Presented by Rev. Kim Graber, featuring the book Flunking Sainthood: A Year of Breaking the Sabbath, Forgetting to Pray and Still Loving My Neighbor by Jana Reiss.